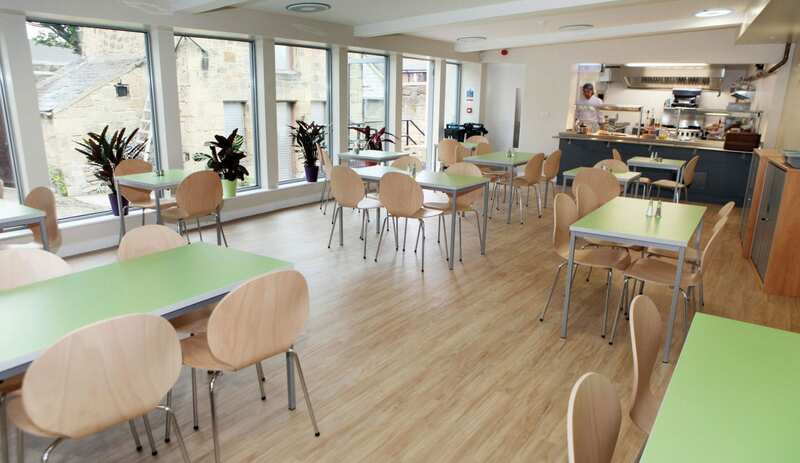 Once the town's Court House, the accommodation now offered at Alnwick Youth Hostel is much less austere. 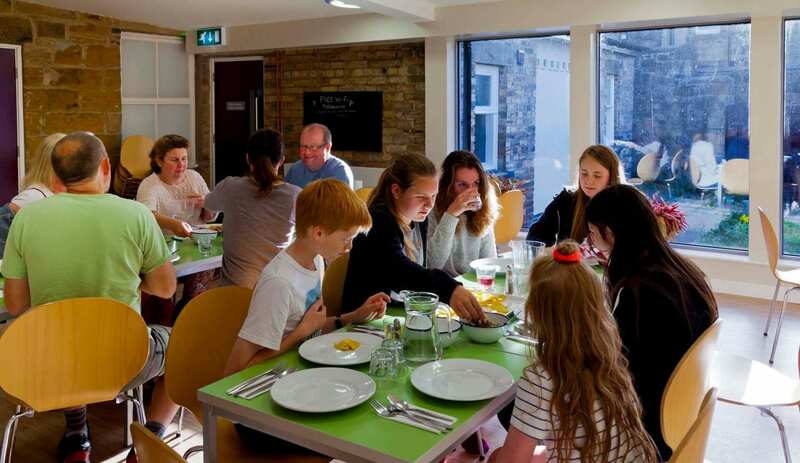 Opened in 2011, this family friendly 4 star hostel is sure to meet the needs of every traveller, with a variety of en suite rooms, cosy lounge, games room and a bright and airy dining room. 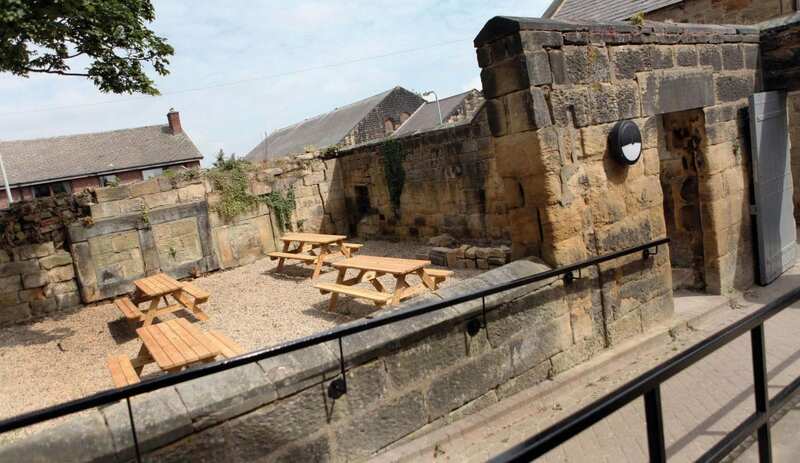 The hostel's town centre location makes it ideal for a visit to historic Alnwick Castle, of recent Downton Abbey and Harry Potter fame, and to The Alnwick Garden, a contemporary pleasure garden in the shadow of the castle. 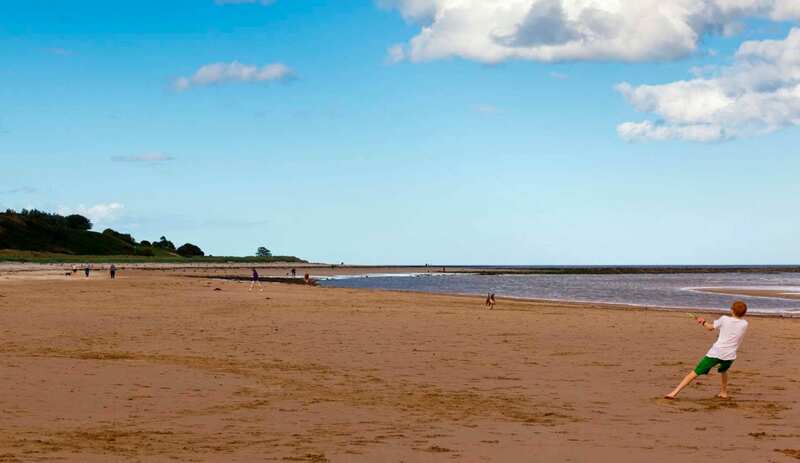 A 15 minute car journey makes the coast within easy reach. 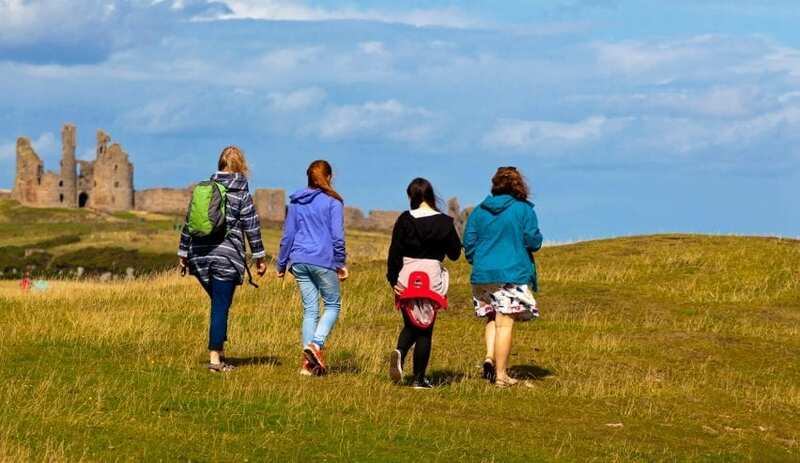 There you will find fantastic castles at Dunstanburgh and Bamburgh, the wildlife haven of the Farne Isles, magical Holy Island and glorious sandy beaches. A short trip inland brings you to the stunning heather clad Cheviot Hills, Hadrian's Wall and Border Reiver country. Great for families, groups, cyclists and backpackers. This accommodation is featured on our map of Northumberland and here is its own website. 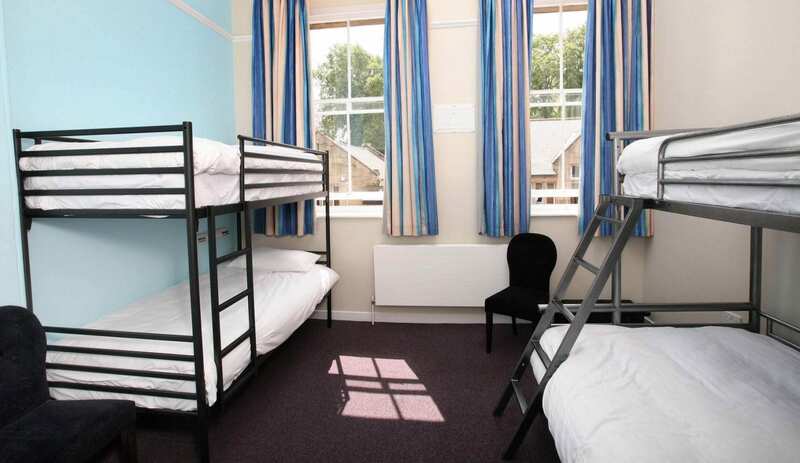 Dorm from £20, under 18 from £15. 2 bedded rooms from £49. 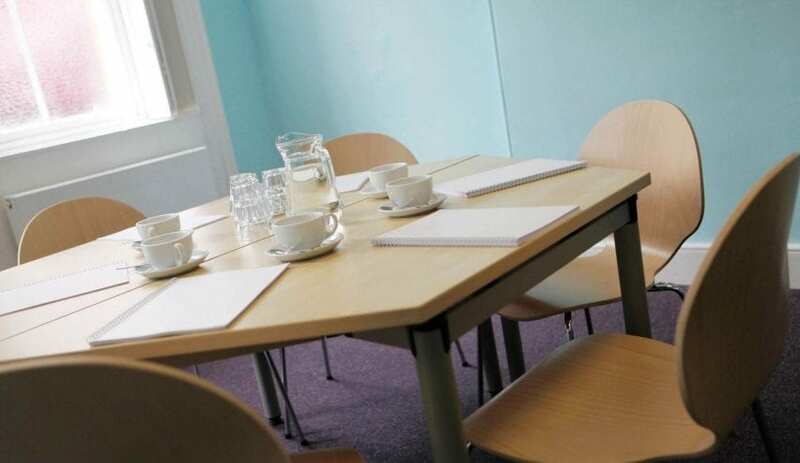 4 bedded rooms from £69. Booking advisable by phone or e-mail or book online. 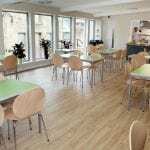 You will find the hostel opposite Alnwick library. A public car park is available at Roxboro Place, to the rear of the Job Centre. Bus - X15 / X18 / X20 Newcastle - Alnwick. Train station - Alnmouth (4 miles) National Express 591/594 to Alnwick bus station. This accommodation is by the sea, is in a National Park, is available to individuals, gives a Best Price Guarantee, has a pub within walking distance and is on the IHUK signage page, the Wedding Venue page, the present or past youth hostel page, the City, Backpacker and Boutique Hostels map, the Land's End to John O' Groats Cycle Route and the page of accommodation near Castles. We arrived at Alnwick youth hostel to the smell of curry drifting into the dining room. A Russian group were staying at the hostel and Andrew and staff were catering for them. We got busy in the self catering kitchen but still couldn’t get the thought of curry out of our minds. A night latter, admitting defeat, we were eating hostel meals with the Russian group. 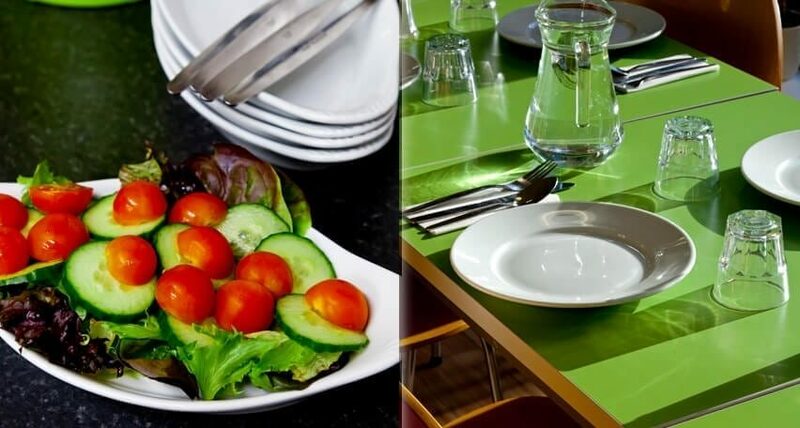 Book direct at Alnwick Hostel in the gateway town to both the historic and beautiful Northumbrian Coast and the stunning Cheviot mountains. Sometimes thought to be a bit out of the way Northumberland is a must visit on any tour of the UK and is easily accessible by train. Visit the set of Harry Potter, Downton Abbey, and many other critically exclaimed films! Alnwick Castle is a beautiful and exciting attraction, as you can recreate the scenes from the country’s favourite films! 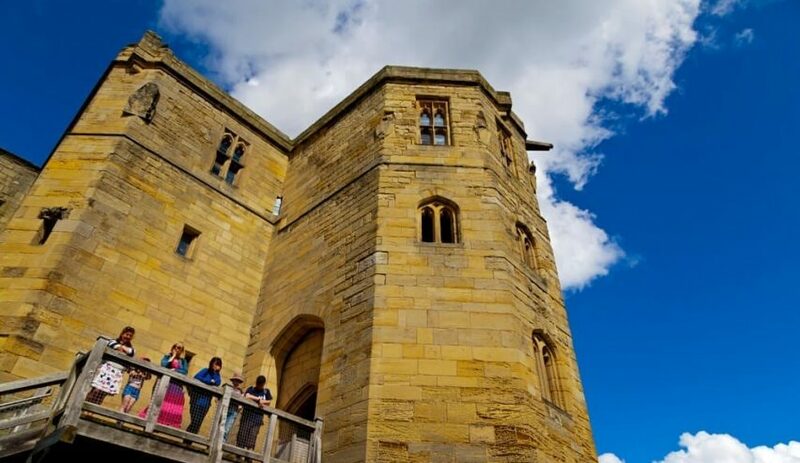 Walk the walls off Hogwarts, imagine yourself dressed in the beautiful gowns on downton abbey, relive the excitement of Robin Hood… all at Alnwick Castle. 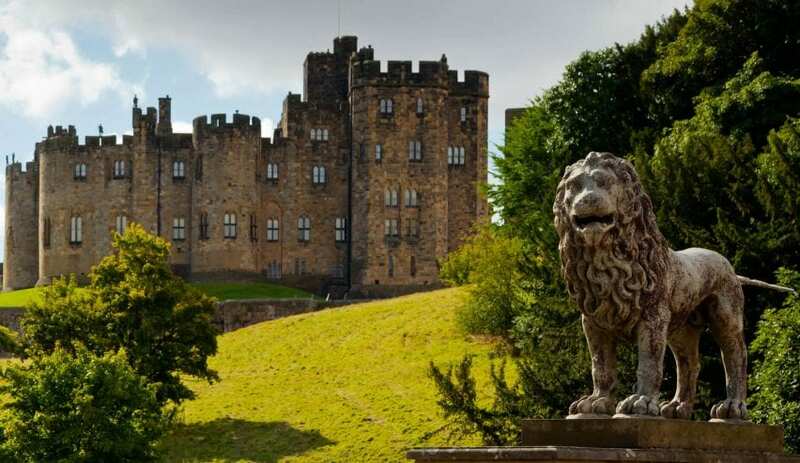 Alnwick Castle is renowned for it’s part in many critically exclaimed films and TV shows, such as Harry Potter, Downton Abbey, and Robin Hood: Prince of Thieves! The castle offers many attractions and events throughout the year including broomstick lessons ,and guided tours of where all your favourite scenes were filmed!